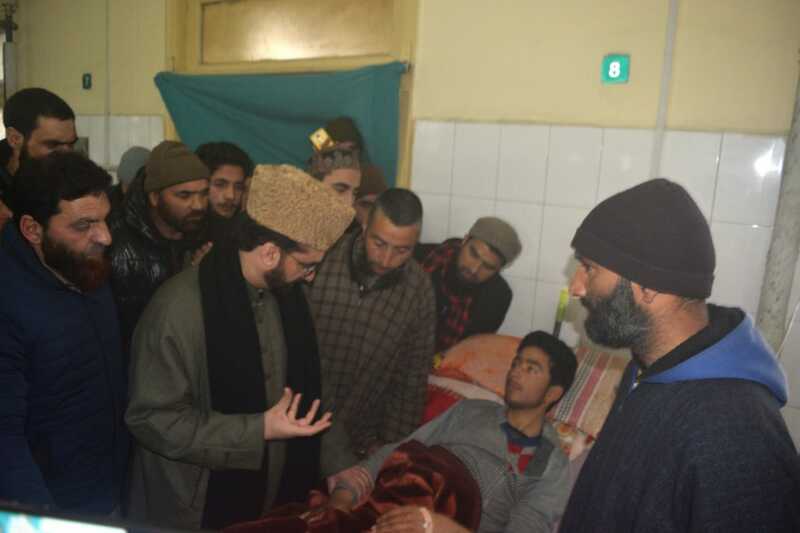 Srinagar: Hurriyat Conference (M) chairperson Mirwaiz Umar Farooq on Thursday visited Srinagar’s SMHS hospital to enquire about the health of students injured in Kakapora on Wednesday. Mirwaiz said that he was pained to see the students in hospital. “Visited the injured school children from Kakpora,Pulwama at SMHS. Pained to see them in hospital but thankfully they are recovering well. Duas and best wishes for their speedy recovery. (SIC),” he tweeted.